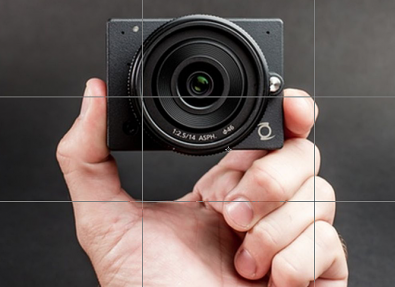 Z Camera, a Chinese startup, has introduced the E1 — billed as the world’s smallest Micro Four Thirds action camera. Z Camera — a competitor with GoPro — said the E1 uses interchangeable lenses and a micro four-thirds sensor that can capture 4K video whether mounted on a drone or operated manually. The camera is compatible with most MFT lenses and has one of the most advanced autofocus systems available. The camera was launched in an unusual way. The company was seeking $42,000 over the course of an active 30-day Kickstarter campaign this summer. However, the project through Kickstarter raised more than $306,000. The crowdfunding platform was used more as a way to take pre-orders and introduce both the brand and the product to consumers. The E1 is now for sale at retailers. 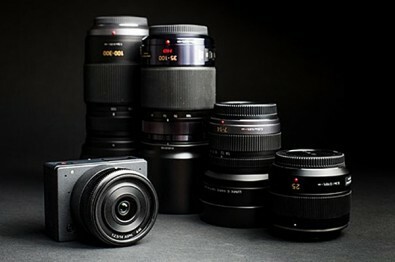 The (body only) retails for $699 as well as in a kit with a 14mm (f/2.5) lens for $999. Unlike the GoPro and other competitors, the E1 camera features a interchangeable, Micro Four-Thirds lens mount, adaptable with the widest range of auto-focus (AF) lenses available from Olympus, Panasonic Lumix, Leica and Sigma. It can also handle a variety of existing manual-focus (MF) lenses. The E1 uses Wi-Fi 802.11N, Bluetooth Low Energy (BLE) and features an Ambarella A9 image processor. It can capture cinema-quality 4K (4096 x 2160) video at 24 frames per second or ultra-high definition video (3840 x 2160) at 30 frames per second with H.264 compression. Advanced 3D noise filters using motion compensated temporal filtering (MCTF) technology reduces noise, jitter, blurring and ghosting. This allows for excellent low-light performance with the camera’s ability to shoot at up to 102,400 ISO while maintaining high image quality, up to 6400 ISO. The E1 is equipped with proprietary applications for iOS and Android, already available in the Apple App Store and Google Play. These apps provide the ability to control, live stream and manage content via their Wi-Fi or Bluetooth 4.0-enabled devices. Users can leave the camera in standby mode and remotely power the E1, whether it’s powered on or off. 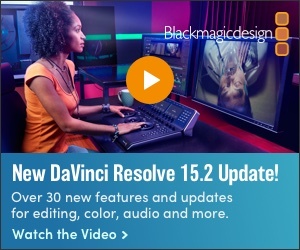 This is a feature not available with most other camera models. Once powered on, users can control and trigger the camera without physical contact. This allows for download of photos or videos and sharing content, direct from a mobile device. These features allow the camera to be used for documentaries or live events. A videographer can mount the E1 from the ceiling prior to the event using a standard tripod mount accessory, provide a direct AC power source into the camera and avoid the need to physically access the camera in order to power it on. For drone use, a pilot can remotely power the camera on only when needed without having to land the drone in order to set it up. Advanced users can customize the functionality of the E1 through the open platform, I/O port and available software development kit (SDK), available in two levels in order to add or customize functionality.